This Cork Board is a Dry Erase Board with Versatile Mounting Brackets for Adaptable Hanging! 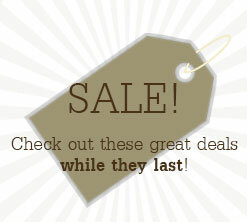 This Cork Board is a White Board that Comes with a Marker and Eraser when You Buy It at CorkBoards2Go.com! 48" x 96" Magnetic board provides more than enough presentational space. White board is easy to write on & clean with dry erase accessories. 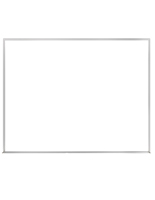 Rounded corners make it safe for use in a classroom. Accessory tray keeps markers, erasers & magnets close by. 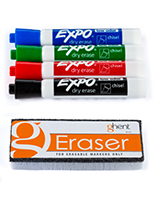 Includes (1) dry-erase marker & (1) felt eraser to help get you started! The cork board is fabricated with an anodized satin aluminum frame and incorporates rounded corners for European flair. 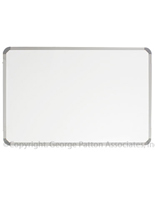 The rounded corners also make this cork board more appropriate to be utilized in a classroom of children as they supply a safer presentation instrument. This dry erase board, cork board is fitted with an attachable accessory instrument.you can use to store your markers, eraser and magnets. We also supply the cork board with masked mounting brackets to better showcase your exhibited message. Once attached, choice of vertically or horizontally, the cork board will totally conceal its wall-mounting brackets! Mounting screws for the particular type of wall surface are required. This cork board will work well in a classroom or conference center. 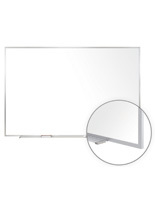 The dry erase board, cork board measures 48" x 96" giving you a aggregate of 32 square feet of presentational area! This cork board, likewise recognized as white boards, incorporates a dry erase display surface so you can custom design each and all presentation with comfort. When you want to update a display, merely wipe away your drawing with the provided eraser. This cork board also includes a magnetic design so you can even use magnets to fasten extra pamphlets or sign-up sheets to a board.